A few weeks ago I read this article about the environmental community’s inability to motivate people to care about climate change. Per Espen Stoknes, a Norwegian psychologist, mentioned several factors that have led to this outcome. Among them was the catastrophic language that often surrounds this topic. According to Stoknes, environmentalists need to give people a sense of hope. He specifically suggested emphasizing the enormous gains that can be realized by tackling climate change (Schiffman, 2015). This got me thinking: what can we gain by ensuring the long-term survival of jaguars? Apex predators help prevent the harmful effects of overgrazing, thereby helping to balance ecosystems. Photo © Sky Jacobs of Wild Sonora. Used with permission. The most obvious answer is that future generations will be able to share the planet with this magnificent creature. But this represents the avoidance of a loss, not a gain. Granted the extinction of jaguars would be a serious loss. Not only are jaguars among the most culturally significant animals on Earth, but they play a crucial role in their ecosystems. Multiple studies have shown that when an area’s top predators are removed, everything else suffers. An overabundance of large herbivores can severely harm the primary producers that all life depends on (National Science Foundation, 2011). One of the most significant benefits of protecting jaguars arises from their ecology. Jaguars require large home ranges in order to survive. Moreover, stable jaguar populations require a healthy prey base. Taken together, this means that conserving jaguars requires carefully managing all the species on large tracts of land. Thus, by protecting jaguars we can preserve entire ecosystems (Northern Jaguar Project b). This is no small matter when one considers where jaguars live. They represent some of the most imperiled, and vital, habitats on Earth. Chief among these is the Amazon. 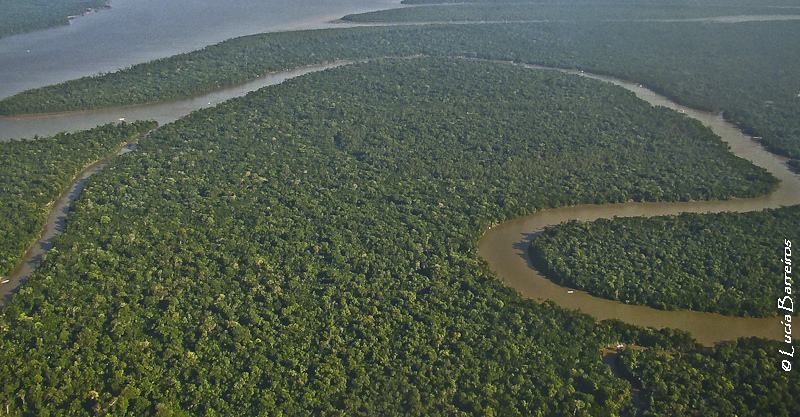 The Amazon rainforest is one of the most biodiverse habitats on the planet (World Wide Fund for Nature [WWF], 2010). But it is rapidly disappearing. Establishing safe havens for jaguars within this great forest will preserve countless other forms of life; some of which we may not even know of. Catedral Verde – Floresta Amazonica by lubasi. CC BY-SA 2.0. Because of their large home ranges and dependence on other species, conserving jaguars can help protect entire ecosystems. Still, preserving the Amazon is technically avoiding a loss. What new boons can humanity acquire by conserving jaguars? From a practical perspective, conserving jaguars can be economically profitable for those who live near them. As stated before, one of the drivers of human-jaguar conflict is the cats’ tendency to hunt livestock. In order to reduce persecution of jaguars, conservationists are working with ranchers throughout Latin America to safeguard livestock. Strategies that reduce depredation on cattle often increase ranch organization in general, leading to greater earnings (Hoogesteijn & Hoogesteijn, 2010). 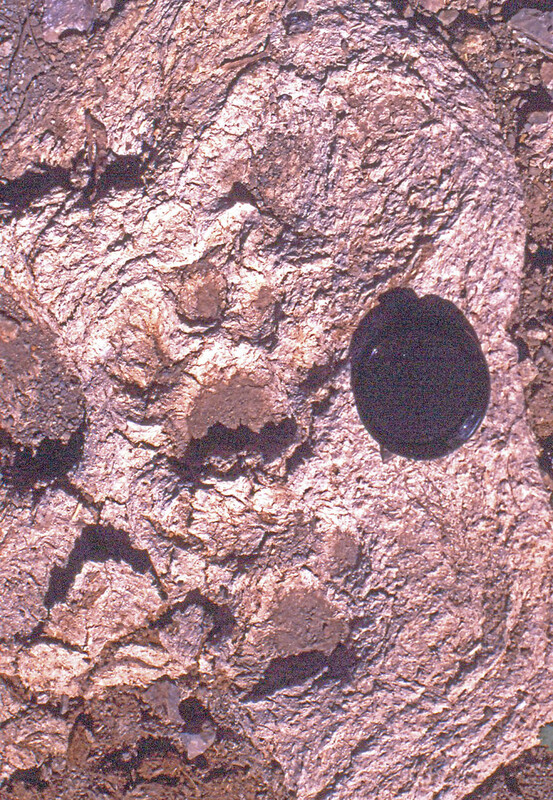 Jaguar tracks in Sonora, Mexico. Jaguars in the area benefit from a well-managed deer hunting operation. Image courtesy Richard Mahler. Jaguar conservation can benefit local economies in other ways too. In the Mexican state of Sonora, for example, Rosas-Rosas and Valdez (2010) have initiated a trophy hunting program for white-tailed deer. Foreigners pay large sums of money for hunting trips to the region, and a chunk of the earnings directly benefit Sonoran ranchers. In exchange the ranchers agree to avoid persecuting jaguars. 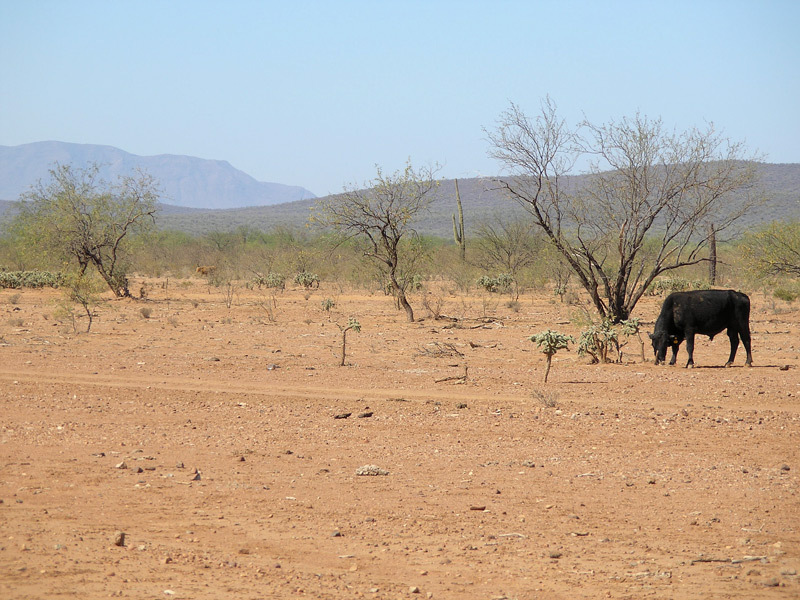 This scheme has proven so successful that some ranchers have given up on cattle entirely. They now maintain their lands in a more natural state in order to maximize profits from the hunting operation (Valdez, Guzmán-Aranda, Abarca, Tarango-Arámbula, & Sánchez, 2006). But for me the most significant gain from protecting jaguars is not something that can be held. Rather, it is a profound shift in the human psyche. Throughout history, we have been unable to tolerate large predators. When civilizations expand, carnivores are eliminated. In the United States alone wolves, grizzly bears, and even coyotes have suffered humanity’s intolerance (Robinson, 2005). Killing large predators may have been necessary for our distant ancestors. Not only would they have represented a substantial threat to human safety, but they would have competed with people for food. But for most of us, that time is long gone. While there are cases in which carnivorous animals harm humans and compete with them for food, this is now the exception to the rule. It is time for us to replace our outdated disdain for these creatures with a healthy respect. The jaguar is the perfect catalyst for this conversion. Its remarkable non-aggression towards people (Rabinowitz, 2014), adaptability, and charisma make it an excellent flagship for coexistence. If we can learn to make room for jaguars in this human-dominated world, then other species will benefit from our changed perspective. Note: I do not wish to minimize the rare instances in which wild animals deliberately hunt people. These situations are tragic, and need to be taken seriously. I also admit that there may be times when specific problem animals need to be removed. In these cases every effort should be made to target only the offending individual. I cannot, and will not, endorse poisoning. 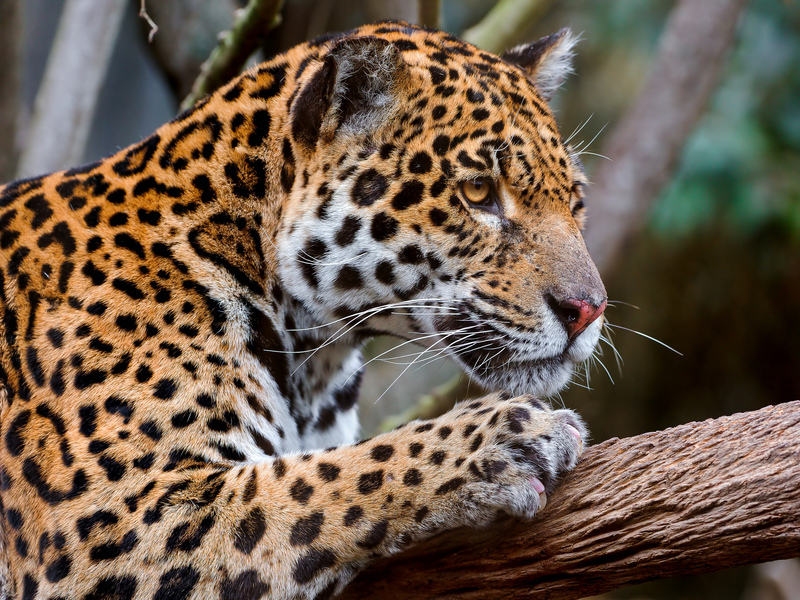 What do you think we can gain from conserving jaguars, or other large carnivores? There are bound to be benefits I have not mentioned, so I welcome your input. Great thoughts to ponder Josh, and all well put. I think the most compelling you make is the coexistence one. You are right, if we can make room all the apex predators in our human-dominated world, then other species will benefit from our changed perspective and collective action – because that’s what it will take. I am a strong advocate for the rights of species to survive. Sometime this is misunderstood as focusing solely on the individual. To survive and flourish in your natural environment, especially for an apex predator, requires all the layers of the ecosystem you live within to be healthy and functioning. So well thought through conservation focused on apex predators can have a significant ripple effect all the way down. But, I don’t think it is wise either to only rely on the ‘lock it up or loose it’ argument that some conservationists make. Parks are great. Big parks are better. But, we can’t make the whole world a park – there are just too many people, many of whom are part of the ecosystems we seek to protect. So, the challenge is how to engage with people at the coalface and this is where I think your argument wins again, because most often local people know the flagship species already and it is easier to inspire them towards protection, than it is to for a rare insect, small mammal or plant. So, conserving jaguars, or other large carnivores, gains us much more than the sum of the parts. Thanks for you thoughtful reply! Yes, that’s one of the reasons I’m drawn to large predators. They seem so powerful, but their place on top of the food chain is so precarious. We really have to work for the benefit of all the parts of their ecosystems if we want to ensure their survival. It makes for a lot of work, but also for a lot of potential benefits. This is especially true when that apex predator happens to inhabit ecosystems that are both critical and imperiled. I also like you comment about the “lock it or lose it” strategy. While it is necessary to have safe havens for animals to form source populations, ethically we have to make sure people have access to the resources they need. It’s also impossible to “lock” up enough land for large animals like jaguars. That’s why it’s important to work with people to encourage them to make unprotected areas healthier for wildlife. Nature is adaptable; animals like jaguars can learn to live in humanized landscapes if we give them a chance. Great points all around! Thanks again for your input!